Pope says gays deserve apology from church. Pope Francis talks to journalists on his flight back to Rome following a visit to Armenia on Sunday. Pope Francis told a group of journalists that the Catholic Church and Christians owe gays an apology for the way the church has treated them in the past. Yet Francis also made clear that gays aren’t particularly special, saying that they are just one of several groups of people who deserve an apology. 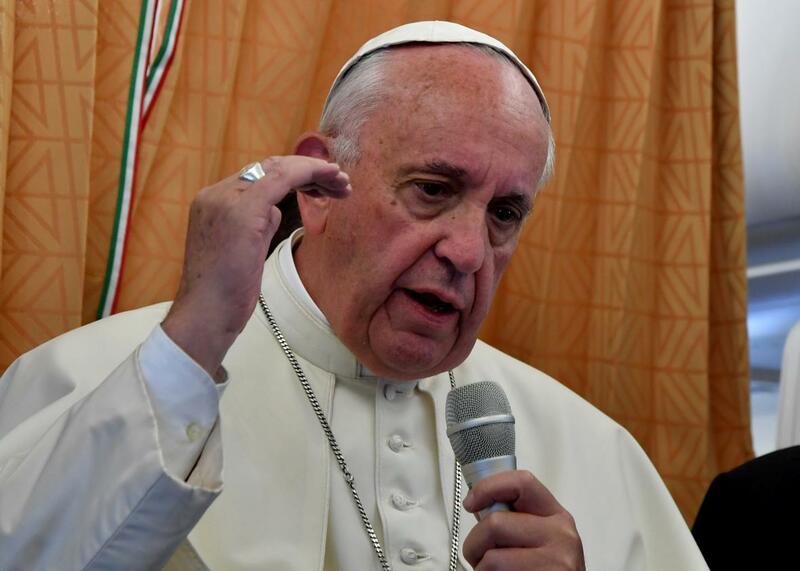 He uttered his words aboard the papal plane, where he was asked if he agreed with recent comments by a top adviser that the church should apologize to gays. He then again went into a variation of his now-famous “who-am-I-to-judge?” statement that made waves shortly after he became pope in 2013. “The questions is: If a person who has that condition, who has good will, and who looks for God, who are we to judge?” The Vatican spokesman quickly clarified that the pope was not referring to a medical condition but rather “a person in that situation,” noting that the word “condition” can also mean “situation” in Italian.